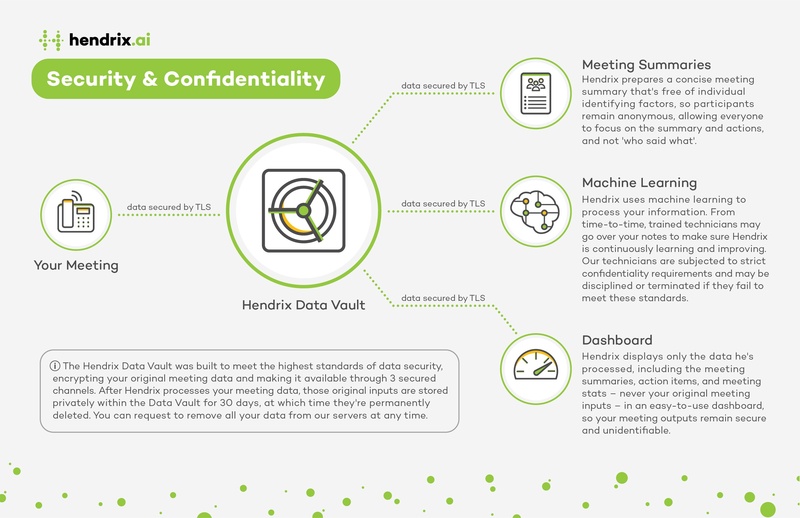 How does Hendrix handle security and confidentiality? Confidentiality at Testfire Labs is paramount and we work to earn your trust by using secure protocols and best practices for call recording and retention of data. Access of personal information is restricted to employees, contractors, and agents who need to know that information in order to process it for us. They are subjected to strict confidentiality requirements and may be disciplined or terminated if they fail to meet these standards. We do not have access to your phone, however, trained technicians may go over your notes to make sure Hendrix is learning and improving. We do this to improve our service and develop new ones. Our goal is to reach a level of accuracy where human intervention becomes completely unnecessary. Our stored data is encrypted using 256 bit AES (Azure SSE)and all data in transit from storage to any browser is secured using HTTPS or SSL. We like to ensure that our data processing and storage procedures are physically and virtually secure operations. You can request to remove all your data from our servers at any time. Testfire Labs requires that all requests for access to personal information be in writing, be signed by the requestor and include sufficient detail to enable Testfire Labs, with a reasonable effort, to identify any record in the custody or under the control of Testfire Labs containing the personal information in respect of which the request is made. By choosing Hendrix, you’re placing a huge level of trust in us. We want to honour that privilege and will continue to improve our efforts to ensure the security and privacy of your data as we grow.